€105.6m (US$120.4m) profit for the same period in 2017. Delta Air Lines has reported operating performance for January 2019. The company carried 14.1 million customers across its broad global network. Total system traffic for January increased 5.9% and the load factor for the month was flat at 79.7%. Total capacity improved 5.9% compared to the previous year. Alain Flourens, currently Head of Engineering for Airbus Helicopters, has been appointed Head of Industry for Airbus Helicopters, following Christian Cornille’s departure from Airbus. Flourens will be replaced in his current position by Stefan Thomé, currently Head of New Business Models & Services at Airbus Defence and Space. These management changes are effective on April 1, 2019. Alain Flourens joined Airbus Helicopters in February 2017 from Airbus Commercial Aircraft, where he held several assignments including Head of the A380 Programme, Head of the Single Aisle Programme, and Executive Vice President, Head of the Airbus Centres of Excellence. With almost two decades of experience in helicopter engineering, Stefan Thomé held multiple management positions at Airbus Helicopters prior to joining Airbus Defence & Space in 2018. From 2013 to 2018, he worked as Head of Vehicle Integration & Doors Engineering, leading and managing all associated activities across Airbus Helicopters, while contributing to the definition of the Division’s research and innovation policy. The Qantas Group has taken a 19.9% shareholding of Australian-based charter operator, Alliance Airlines. The 19.9% stake was acquired for an average price of AU$2.40 per share and for a total cost of AU$60 million. American Airlines has taken delivery of the first of 100 A321neos on order from Airbus, powered by CFM International LEAP-1A engines. The aircraft, MSN8647, departed Hamburg early Friday for the trans-Atlantic ferry flight toPittsburgh where American’s technicians will get the A321neo ready for customer flights. Eirtech Aviation has announced the opening of its newest office in Dublin city centre. The office will be staffed with Sales, Engineering and CAMO personnel who will be readily available to meet with customers as required. The office will be open from Monday 4th February 2019 and will enable Eirtech to respond to the growing needs of their customers and continue to deliver the highest level of service. Air Canada and Chorus Aviation, parent company of Jazz Aviation (Jazz), have confirmed that all conditions have been met and the previously announced amendment and extension of the Capacity Purchase Agreement (CPA) between Air Canada and Jazz has become effective. As announced on January 14, 2019, the improved CPA is effective retroactively as of January 1, 2019 and extends to December 31, 2035. As part of the agreement to amend the CPA, Air Canada has also completed the CA$97.26 million equity investment in Chorus previously announced on January 14, 2019. Air Canada has acquired 15,561,600 Class B Voting Shares in the capital of Chorus, representing approximately 9.99% of the issued and outstanding Class A Variable Voting Shares and Class B Voting Shares of Chorus on a combined basis. In total, the 17-year contract will provide Jazz CA$2.5 billion in minimum contracted revenues, of which CA$1.6 billion, or 65%, will be generated from aircraft leasing revenue, supporting the continued transformation of Chorus' business through the migration of CPA earnings to aircraft leasing. The amended CPA will provide for total incremental contracted revenue of CA$940 million; CA$310 million in fixed fees and CA$630 million in aircraft leasing under the CPA. 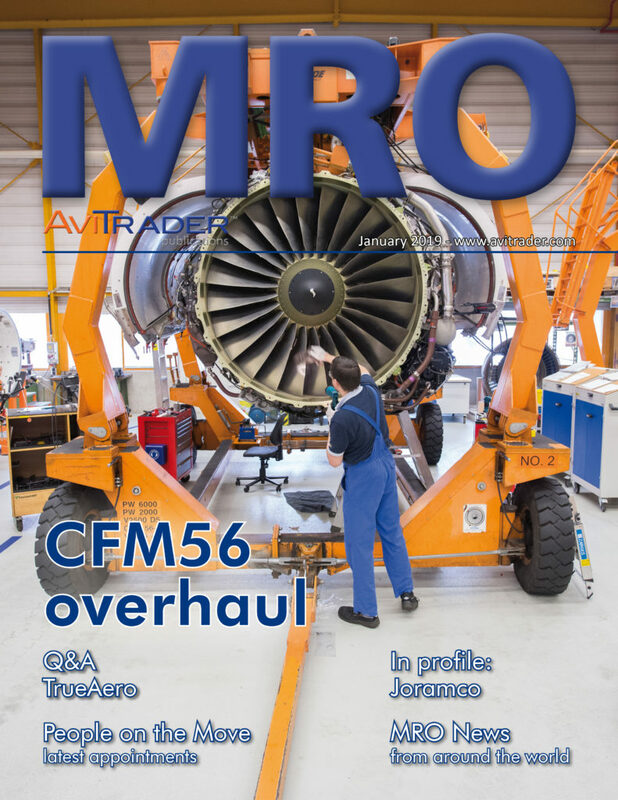 Magnetic MRO, a global provider of Total Technical Care for aircraft operators and lessors, issued bonds in total aggregate value of €8 million. The company has submitted an application to Nasdaq Tallinn Stock Exchange Listing & Supervisory Committee for listing the bonds on the multilateral trading facility First North. Capital raised with the bond issue will be used for acquiring a competitor operating in the same industry and further expanding Magnetic MRO’s business. Magnetic MRO arranged a non-public offering of bonds to Baltic institutional investors and private banking customers in December 2018. In primary offering, Magnetic MRO issued bonds in total nominal value of €8 million with option to increase the issue size to €15 million. Bonds will be redeemed on December 21st, 2021, and investors will receive annual interest of 8% in quarterly payments. 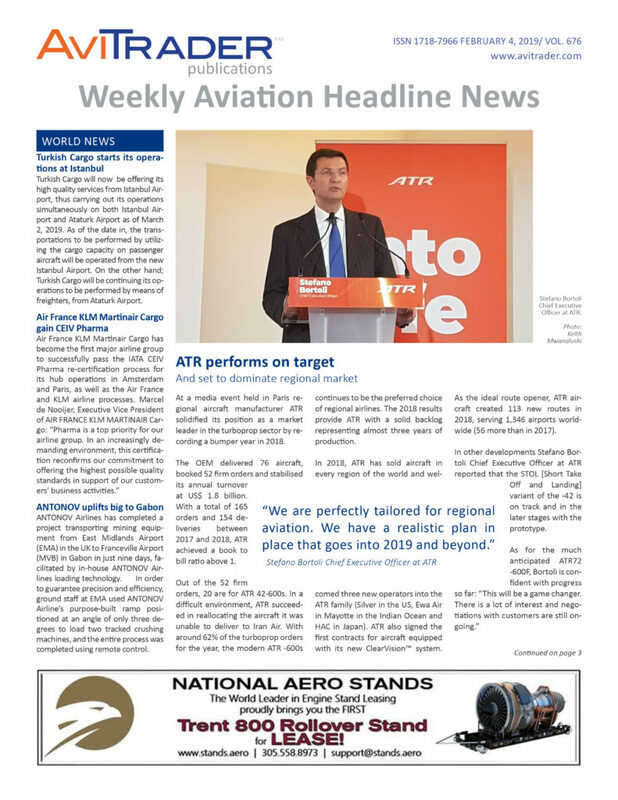 time working with industry partners to formulate and review existing content to ensure standards and policies are aligned to the aviation industry. terms laid down by Gulf carrier Etihad Airways (Etihad) in a much-needed financial bail-out and company ownership restructuring. Currently, Etihad holds a 24% stake in the airline which will increase to 40%, while current 51% majority shareholder Naresh Goyal will reduce his stake to 22% and step down from the board. State Bank of India (SBI) is one of the principal lenders, but as yet has not confirmed how much of a stake it was prepared to take in the carrier if the equity swop is approved by shareholders. Combined, it is expected that lenders would end up with a 30% stake in Jet Airways through debt conversion. the remainder cleared in tranches by April. The pilots’ union is hoping to meet with management next week to discuss the issue of outstanding wages.